A while back one of our neighbors, a man from Canada named Keith, was having some work done on his yard by a professional lawn care company. Keith was standing out in front of his home directing the workers in their labors, when all of a sudden, he screamed at the top of his lungs and bolted away from the house out into the street, with no regard for any oncoming traffic which might have been there. The workers had been busying themselves trimming the hedges around the house when they found a relatively small black snake poking its head up through one of the hedges. The site of the snake is what triggered Keith’s response. Now for six months every summer, Keith manages a golf course in northern Ontario, Canada. He spends much of his day during that time outside in the middle of the vibrant surroundings of a well-kempt natural environment. So when I heard the screams of my neighbor, I was quite naturally alarmed and hurried outside to see what the problem was and how I could help. Can you imagine the surprise when I discovered that my outdoorsman neighbors Keith was terrified of snakes? That leads me to ask a rather obvious question: Of what are YOU afraid? The dictionary defines “fear” as an unpleasant feeling triggered by the perception of danger, real or imagined. One fellow has even gone so far as to compile a list of our “unpleasant feelings”. There are hundreds of them, from A to Z, beginning with ablutophobia – a fear of washing or bathing and ending with zoophobia, which is a fear of animals. In that list are all kinds of fears, including agoraphobia – the fear of open spaces or the fear of leaving home, triskaidekaphobia – the fear of the number 13, and hydrophobia – the fear of water or rabies. Yes, there is even one called ophidiophobia, which is — you guessed it — the fear of snakes! Yet, if I were to ask you, I am confident that many if not all of you would and could generate a long list yourself of things that indeed you are afraid of. And in recent years, that list seems to have only increased, not diminished at all. While it is not a scientific study at all, in recent weeks, I have conducted my own informal survey of the various people in our community with whom we have come in contact. So the question is, “What do we do about our fears?” Do we just continue to tremble in fear each and every moment of each and every day for the rest of our lives? Or is there a way that we can be victorious in dealing with our fears? Over and over again, throughout the Scriptures, we are challenged to “Do not be afraid!” Those words of comfort and challenge seemed to readily and often penetrate the night air as Jesus was ministering throughout the regions of Galilee and Judea. But even before that, before he was made king of the nation of Israel, David found himself in a tough spot when he was running from King Saul. He penned in his journal one night the words which we have as Psalm 34. There he says, “I sought the LORD, and He answered me, And delivered me from all my fears. They looked to Him and were radiant, And their faces will never be ashamed. These verses are a reminder that God knows no fear, and those who follow Him need not know fear either. As you and I trust in Him, He will deliver us out of all our fears. He circles the wagons of heaven to protect us from the attacks of the enemy, and “rescues” us! As we trust in Him, He will deliver us from all our troubles. Faith answered and no one was there! As you and I trust in Him and in faith believe what He says, He will indeed protect us and deliver us from anything that scares us – even snakes! 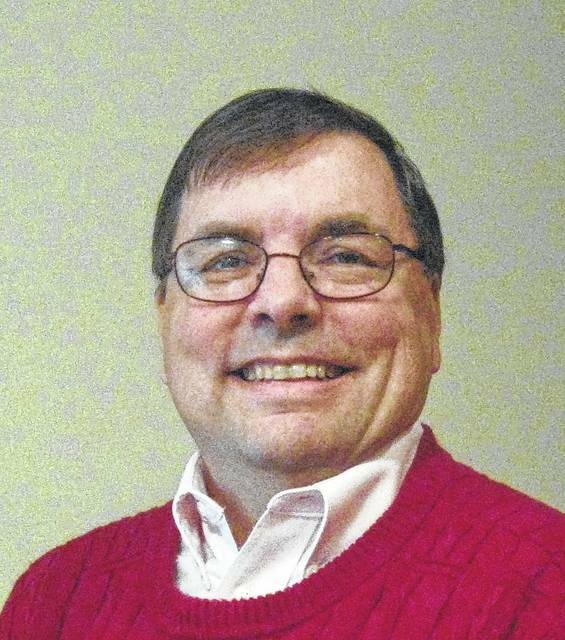 Chuck Tabor is a regular columnist for the News Journal and a former local pastor. He may be reached at cdtabor3@gmail.com.